Mental health is a broad term that encompasses a number of factors including physical, emotional, and spiritual health. Aspects of mental health interface with our psychological makeup, our ability to handle stress, and our ability to grow emotionally. Good mental health includes aspects of our lives such as our social life, our relationships with others, and our relationship with ourselves. Mental health can also be seen as a state of well-being in which a person is able to reach their potential, to engage in healthy relationships and to contribute to their community. It is a way of being fully authentic and integrated while engaging in life. Why Do We Need Mental Health and Counseling Professionals? From time to time we all suffer from a breakdown of good mental health. In much the same way as we seek medical attention from a physician when we are ill, we seek mental health counseling and care from mental health professionals such as counselors, psychotherapists, psychologists and psychiatrists when we are suffering mentally or emotionally. The mind are body are connected. When we experience even mental and emotional stressors the body is negatively affected. Blood pressure rises, pain levels increase, the immune system weakens. And mental health problems are more common than we may perceive. It is estimated that 1 in 5 adults and 13% to 20% of children in the United States will suffer from a mental health issue in any given year. Mental health issues are also easily treatable. Depression, a common mental health issue, is very responsive to medication and therapy. Most mental health issues respond well to some combination of medication and treatment. Conversely, without treatment, most mental health conditions worsen over time. Obtaining mental health services benefits everyone. What are the Careers in Mental Health and Counseling? Mental health issues and treatments come in a variety of styles, theoretical backgrounds, price ranges and levels of expertise. Therapy is sought for a variety of issues and in a variety of settings. Here are some of the different kinds of mental health and counseling careers that are available, each with a different salary expectation, training level, and focus in therapy. A clinical psychologist is a highly trained therapist who works with diagnosing and treating mental, emotional and behavioral disorders across the spectrum of age groups, including adults and children. Clinical psychologists may work in clinics, hospitals, or in private practice. They often work with more severe disorders and may work collaboratively with psychiatrists and other medical heath practitioners. A clinical psychologist may work with clients who have depression, anxiety, eating disorders, and other mood and thought disorders. The position requires at least a master's degree in clinical psychology. Many positions require a PhD or PsyD degree. Education, whether at the master's or doctoral level, requires the completion of course work, many hours of field work and clinical training with clients as well as supervised post-degree training. Clinical psychologists must pass licensing examinations in their state and must keep current in their training. According to the Bureau of Labor Statistics, a clinical psychologist's mean annual salary in 2017 was $81,330 annually or $39.10 hourly. A school psychologist works with children in a school setting to help them achieve a successful learning experience. Children encounter a variety of impediments to learning such as learning disabilities, emotional and social issues, and problems in the home. The position often requires collaborative working relationships between the child, psychologist, parents and teachers. This position requires at least a master's degree in school psychology with supervised field work in a school setting. An Ed.S (Education Specialist) degree is a relevant post-bachelor's degree as well. Some positions require a doctorate degree. The position also requires professional certification in many states. 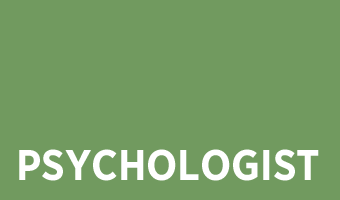 A National Certified School Psychologist (NCSP) is often required in addition to licensure. 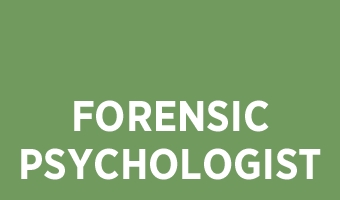 In order to qualify for the NCSP credential, you must complete a graduate program in school psychology, 1200 hours of internship, of which at least 600 hours must be completed in a school setting, and you must pass the Praxis II school psychology exam. Licensure requirements vary by state, but many states follow the requirements set out for the NCSP credential. Although pay varies according to the work setting, according to the Bureau of Labor Statistics, (BLS) a psychologist's mean 2017 salary was $77,030 annually or $37.04 per hour. And job growth through 2026 is approximately 14% which is faster than average. This position is often the entry point person for a client needing mental health services. Often when a client is in crisis, the client will reach out for help and the person most often answering that call is a clinical case manger. A clinical case manager assesses the client's problem and starts to move the client toward services that address the need. This may be getting a client into detox, or helping a schizophrenic client get back on their medication, or it may be getting a person at risk of suicide into appropriate hospitalization. The job requires a high level of social work expertise. A clinical case manager may work for a mental health agency, for county mental health services, or for a hospital or clinic. The position requires at least a bachelor's degree in a related field. Some positions require a master's in social work and licensure. The job requires the ability to absorb and digest large amounts of data, often while a client is in crisis and while helping move the client toward solutions. Most of the training for this position is done on the job. The BLS lists the median 2017 pay for social and community service managers at $64,100 annually, or $30.82 hourly. 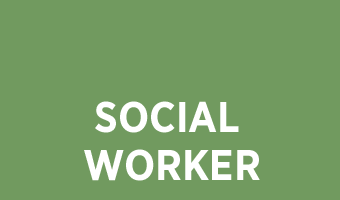 A clinical social worker works with clients to help them solve problems in their daily lives. These problems can revolve around employment, housing, obtaining social services or medications, and the like. Depending on the work setting, a clinical social worker may also diagnose and treat emotional or mental issues. Most clinical social workers have a master's degree in social work and have many hours of post-degree practicuum experience working with clients in varying therapeutic settings. Most states require passing an examination and licensure for this position. The 2017 median pay for a clinical social worker is $47,980 annually, or $23.07 hourly. The job outlook for this position is excellent, at 16% growth predicted from 2016 to 2026. A social and community service manager helps to coordinate and supervise social service programs in the community to ensure that people who need social services, can get them. These managers often supervise social workers and other staff members and may work in a variety of settings, such as government agencies, non-profit agencies and the like to bring services to people within the community. They are the interface between the agency and the community at large, ensuring that the services their agency provides are implemented and effective. This is an administrative position in the health field and as such does not require education beyond a bachelor's degree. The BLS lists the 2017 median salary for the position at $64, 100 annually or $30.82 hourly. Job growth for this position is excellent, at 18% from 2016 to 2026. The American Counseling Association licenses mental health workers as Licensed Professional Counselors. This type of counselor works with clients with a variety of mental health and emotional disorders. The position requires a master's degree in counseling, at least 3000 hours of post-master's supervised clinical experience, and licensure. The LPC works in a truly client-centered way to help diagnose and provide therapy to clients suffering from a variety of mental health disorders, including addiction. Salary varies depending on the setting and on the type of specialization. A substance abuse specialization ($27,000 to $39,0000) generally yields a lower salary than does a school counselor specialization (35,000 to $51,000). A mental health counselor is what we most often think of when we think about counseling. This is what "talk therapy" is about. Mental health counselor is a generic name for a counselor who helps a client work toward emotional wellness. Mental health counselors are qualified to evaluate and treat mental health issues but cannot prescribe medications. Thus, counselors often work collaboratively with doctors and psychiatrists in a variety of clinical settings. While some states will allow a person with a bachelor's degree to engage in clinical therapy with a client, most states require at least a master's degree and licensure after a considerable amount of supervised clinical experience. Most states require between 2000 and 4000 supervised clinical hours before a candidate may take the licensure exams in that state. Those hours are usually divided into a number of required categories such as: couples work, children, individual and group work, substance abuse, supervision, and further training. Salaries vary quite a bit depending on degree-level, work setting, and specialization. The typical masters level salary will be lower than the salary at the doctoral level. However, according to the BLS, the median salary is approximately $42,840. An alcohol and drug abuse counselor specializes in addiction counseling. Substance abuse counseling can take a number of different degree paths, from bachelor's to doctoral degrees. There are also certificate programs available in substance abuse counseling. Substance abuse counselors work with clients in agencies, hospitals, detox centers, and in private practice. The counselor works with the client to determine the level and severity of the addiction, what triggers a client's desire to use, and how to avoid these triggers. According to the BLS, the 2017 median salary for an addiction counselor is $43,300 annually, with government jobs paying the highest salary and residential treatment centers paying the lowest salary. Residential counselors work in residential mental health settings such as treatment centers, group homes, youth homes, and psychiatric facilities. In general, they are responsible for ensuring that their clients are well-supervised and that the interactions within the residential care unit are safe and healthy for all concerned. A residential counselor may design and implement a variety of programs within the facility to help work with their clients in a therapeutic manner. Most residential counselor positions require a license or certification, with a bachelor's degree as a minimum educational level. The work hours are often long for this position and often the salary is paid on an hourly basis, at $10-$16 per hour. This position is often a stepping stone to further education and licensure as a professional counselor, a psychotherapist, or psychologist. A marriage or family therapist (MFT) is a licensed professional position. An MFT works with individuals, couples and families to help relationships within these systems to function in an emotionally vibrant and healthy way. They are able to diagnose and treat mental and emotional disorders within the marriage and family context. A master's degree is required along with approximately 3000 supervised clinical hours before an MFT may sit for the licensure exam. These clinical hours are spread out over a number of differing client situations, enabling an MFT candidate to gain substantial experience with clients before sitting for the licensing examinations. An MFT will typically have worked with couples, families, individuals, teens, children, and elders over the course of their training. Each state varies a bit in terms of licensing requirements. MFTs often work with families in crisis, whether due to an impending divorce, substance abuse within the family, or other issues. MFTS work with clients on relationship issues and how the client experiences and moves through relationships, helping the client understand their feelings and behaviors in relationships, making changes as needed. MFT's often work in mental health agencies, clinics, or in private practice settings. Salaries and earning levels for this position vary widely depending upon the number of years' experience a therapist has, the location of the practice and the skill of the therapist. BLS statistics show a median salary at $48,790. In the recovery model of mental health, a peer specialist is a person who has a certain amount of recovery in a particular area, and who uses that recovery to help others struggling with recovery in the same area. This is a strength based model that helps clients build on their strengths and make informed choices. A peer specialist may help their clients achieve goals, address challenges, make plans and execute them, and the like. They may work with individuals or groups. Areas of recovery requiring certification include addiction and mental health issues. Outside of these areas, a high school diploma is often the only other educational requirement. The BLS treats the position as community health workers. The position is often an hourly position. A psychiatrist is a medical doctor specializing in the diagnosis and treatment of mental disorders. It is among the most highly trained and highly paid mental health jobs. The job requires the completion of medical school, a residency and a state licensing examination to practice medicine. It is both time consuming and expensive to complete all the requirements for licensure. Because psychiatrists are licensed medical doctors, they are able to diagnose and perform a full range of physical and psychological tests when diagnosing patients. They are also able to treat patients using a number of different types of treatments. A psychiatrist is able to prescribe and monitor medication, provide psychotherapy, and in some settings, to prescribe such treatments as electroconvulsive therapy (ECT), according to the needs of the patient. The area of psychopharmacology has grown enormously as we begin to be able to produce medications that specifically target mental health issues while minimizing side effects. Many psychiatrists both prescribe medication and treat their clients with psychotherapy. The BLS states the median salary for a psychiatrist at $ 143,450 annually. But salaries vary widely with location and work setting. Most psychiatrists work in hospitals, or other clinical settings. This is a subspecialty for a licensed registered nurse. A psychiatric nurse may provide nursing care in a mental health facility, may help to develop patient care plans and provide mental health understanding to families dealing with a loved one with a mental illness. They may also diagnose and treat persons with mental illness, including the prescription of medications and the administration of psychotherapy. The position requires an advanced nursing degree, either a master's or a doctorate. The practice of psychiatric mental health nursing is an advanced specialty in nursing. As such, it requires licensure and continuing education. Salary varies by location and experience, with average annual salaries ranging from $47,484 to $84,588. Substance abuse nurses specialize in those medical issues particular to substance abuse clients. This issues can range from medical care during detox to pain management, educating clients and their families regarding substance use and abuse, and providing emotional support for clients and their families during times of crisis. A substance abuse nurse must hold a valid nursing license in addition to completing the educational requirements for licensure: either an associate's degree or bachelor's degree in nursing. Licensure requires the completion of clinical hours, and passing an examination. BLS guidelines indicate a median annual salary of $70,000 for registered nurses. Adding this specialization, allows a greater salary. What is the Job Outlook for Mental Health Professionals? The job outlook for all mental health professionals is good to excellent. Most positions expect growth in excess of 12% between 2016 and 2026. Mental health counselors in particular may experience significant job growth in the coming decade, at 23%. The BLS counts mental health counselors, substance abuse counselors and counselors specializing in behavior disorders together for purposes of this job growth estimate. Overall employment of social workers is projected to grow 16%. Many of these job classifications are expected to grow more than the national average. Mental health is one of the few job areas that is expected to grow at three time the rate for other jobs. Access to mental health services is increasing which translates to an increasing number of jobs in the mental health field over the next decade. Mental health professions continue to be an excellent occupational choice.